Extensive forest fires of summer 2017 in Portugal and Mediterranean France highlighted once again the need to change forest fire policy, with emphasis on prevention. Prevention should not be limited to facilitation of repression (early detection of fire, adequate forest road network, organization of volunteers etc. ), but should be the result of policies that reduce the chances of a fire, contribute decisively to limiting the burnt area and even minimize the risk of losses in human lives. In Greece, the debate opened following 2007 and the devastating fires of the Peloponnese. The reduction of productive economic activity in the countryside. 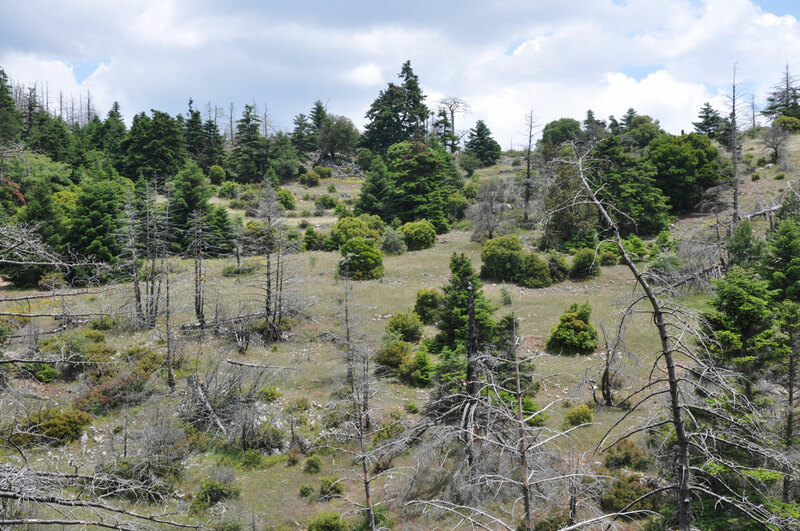 The abandonment of primary sector productive activities in the Mediterranean has led to an increase in both the area and density of forest vegetation. Gradually, the diverse agricultural and forest areas of the Mediterranean landscapes have turned into consistent, unvarying forest landscapes, with a high amount of fuel, favoring the development of extended forest fires of great intensity. The high cost of forest fire suppression. The cost of measures to facilitate repression and extinction reaches an alarming extent, absorbing the already limited resources available to support the productive forestry sectors. As long as emphasis is given on effective suppression rather than on prevention, additional funding is needed, exacerbating the problem. The “perfect storm” of forest fires. The impact of climate change, combined with the increase in vulnerable landscapes, the increase in the proximity of forests and inhabited areas, the deterioration of public interest in Mediterranean landscapes, and the high number of fire incidents, form the “perfect storm” of forest fires. Already, forest fire-fighting capabilities in many countries, including those with sophisticated aerial and terrestrial means, well-trained counter-powers and adequate funding, are at a marginal level. Forest policy. A new forest policy approach is needed, aiming to restore and broaden productive management of forests and forest landscapes in order to reduce the amount of available fuel. In this way, suppression will be facilitated, with even reduced costs. In particular, it is advisable to promote chains of production and use of technical timber, the production of other forest products (other than timber), agroforestry, as well as the recognition and promotion of ecosystem services. In other words, there is a need for a bio-economy approach that has the potential not only to reduce fire risks but also to restore the capacity of Mediterranean forests to generate income.